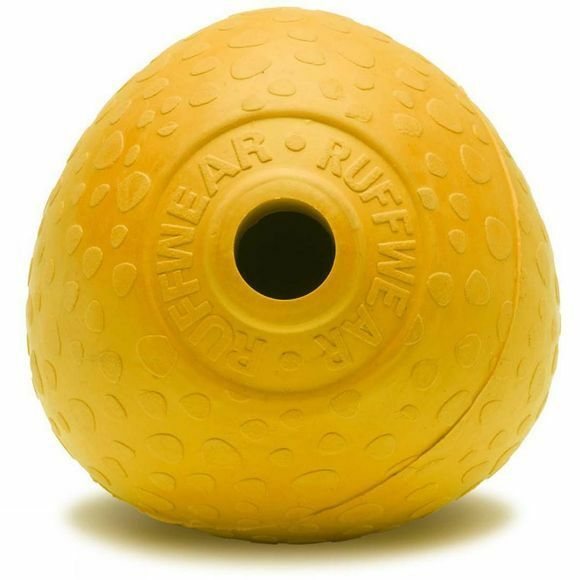 The Ruffwear Huckama is a natural rubber throw toy that provides endless engaging fun. It bounces and rolls erratically, keeping a game of fetch challenging and interesting, while its hollow design whistles as it flies through the air. 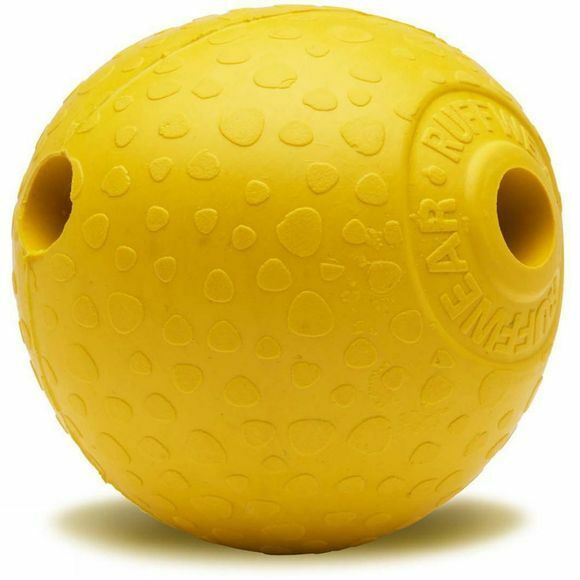 This toy has an internal chamber that holds small treats for an exciting and rewarding game of chase with your dog.